Hailed as one of the key theoreticians of modernism, Eugène-Emmanuel Viollet-le-Duc was also the most renowned restoration architect of his age, a celebrated medieval archaeologist and a fervent champion of Gothic revivalism. He published some of the most influential texts in the history of modern architecture such as the Dictionnaire raisonné de l’architecture franÃ§aise du XIe au XVIe siècle and Entretiens sur l’architecture, but also studies on warfare, geology and racial history. 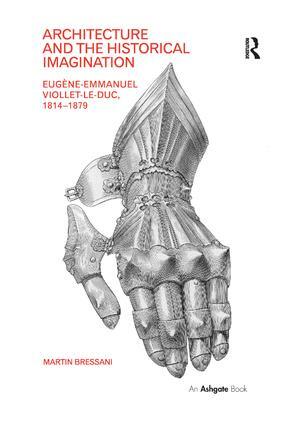 Martin Bressani expertly traces Viollet-le-Duc’s complex intellectual development, mapping the attitudes he adopted toward the past, showing how restoration, in all its layered meaning, shaped his outlook. Through his life journey, we follow the route by which the technological subject was born out of nineteenth-century historicism. Martin Bressani is Associate Professor and Graduate Program Director at the School of Architecture, McGill University, Canada.